Better times indeed! The fact is, we are fast running out of foreign exchange reserves. And with friends reluctant to bail us out, another IMF programme seems increasingly inevitable. Indeed, the finance minister has now declared after meeting with the IMF Chief that we will be starting negotiations on a new programme. An important question to ask is why, after over a dozen IMF programmes in the last 30 years, we invariably end up with an unsustainable fiscal and current account deficit and a run on our foreign exchange reserves? Here, opinions may differ, but two conclusions are remarkably clear. The first is the gross macroeconomic mismanagement of the economy by the last three governments (since 2005), especially towards the end of each one’s term in office and a lack of political will to undertake structural economic reforms. The second is an IMF that repeatedly prescribes the same economic policy package, which we are then forced to follow. Yet one is forced to admit that given the stark realities of a fast deteriorating economic situation — dwindling international reserves, a sliding exchange rate that was becoming extremely difficult and costly to hold, and a panic-like situation in the stock market — the government had little choice but to turn to the IMF. The real challenge now is to prepare ourselves extremely well to negotiate an agreement with the IMF that is politically acceptable and does not place an unbearable burden on the living standards of the vast majority of the population. To be able to do so, first and foremost, the government should come up with a credible and consistent homegrown economic roadmap, a strategic three-year plan covering the coming years from 2018 to 2021. 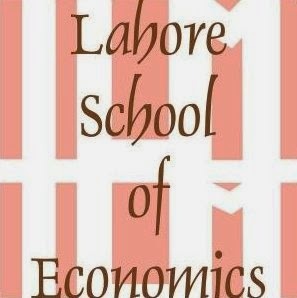 The plan should start with a macroeconomic framework, with concrete steps for restoring macro­economic stability and building upon the measures already announced in the revised budget. This should be followed by outlining the major economic reforms it plans to undertake (eg reducing the cost of doing business, igniting industrial growth, reducing the circular debt) to improve efficiency and competitiveness with timelines and performance indicators. The strategic plan must also include projections over 2021-24 on paying back the IMF loan. On the stabilisation front, this plan should target a staggered decline in the fiscal deficit from the current expected 7.2 per cent in 2018-19 (excluding measures in the revised budget) to near 5pc over the next three years, supported by steps to gradually reduce subsidies — including in the energy sector — and new initiatives to increase tax revenues. The government should include in this plan the general direction and savings it hopes to generate through the major initiatives it has or plans to undertake — as, for example, measures to curb wasteful expenditures. While some immediate adjustment in the exchange rate may be needed to calm the markets, it should be very cautious in using it as the major tool given its adverse impact on inflation and the fact that we are a heavily indebted economy with repayments in foreign exchange. This does not mean that the exchange rate will not be adjusted if there is a persistent demand and supply imbalance. The real challenge will lie in designing a stabilisation package that does not completely lose the little growth momentum we have built up in the economy. We must never forget the terrible impact of a sudden steep decline in the fiscal deficit agreed on with the IMF in the 2008 programme, which led to a collapse in the growth rate from 5.5pc to around 0.7pc (and a cut in subsidies, which resulted in food inflation of over 25pc). The economy never quite recovered from this. Most importantly, the strategic plan should be supplemented with the outline of a medium-term development plan that serves as a framework for cuts in development expenditure, projects shelved or reduced, and funds reallocated, including those under CPEC. An important objective of this plan must be to divert government development expenditures to those priorities the new government has set for itself: improving the quality of education and health services, and launching a housing initiative that will generate new jobs. This overall exercise could be carried out by reworking the draft 12th Five-Year Plan (2018-23) already prepared by the Planning Commission. In our negotiations with the IMF, the government needs to make clear that any stabilisation programme agreed on must rest on a gradual reduction in the fiscal deficit and cuts in subsidies at a bearable pace — not one that results in economic mayhem. In the first instance, it would be sensible to agree to a 24-36 months, $8-9 billion fund programme — frontloaded with the release of a sufficiently large initial tranche to calm the markets and restore business confidence. It is worth emphasising that the more convincing and well worked out the government’s strategic three-year plan (as well as its resolve to implement it) is, the more successful it will be in getting a credible agreement with the IMF. One would also hope that the IMF will have learnt some lessons from its experience of the last 30 years and rethink, or at least show some flexibility towards, its basic approach to helping Pakistan move to a more sustainable growth path. It must reduce its previous strong emphasis on opening up the economy far too quickly so that we do not end up, as we have done in the recent past, with another balance of payments crisis soon after the IMF programme ends. But can a leopard ever change its spots? 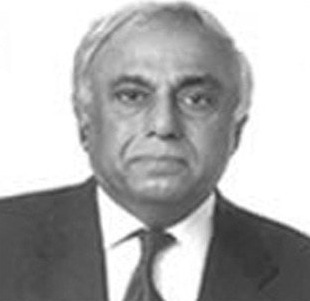 The writer is professor at the Lahore School of Economics and former vice-chancellor of the Pakistan Institute of Development Economics.